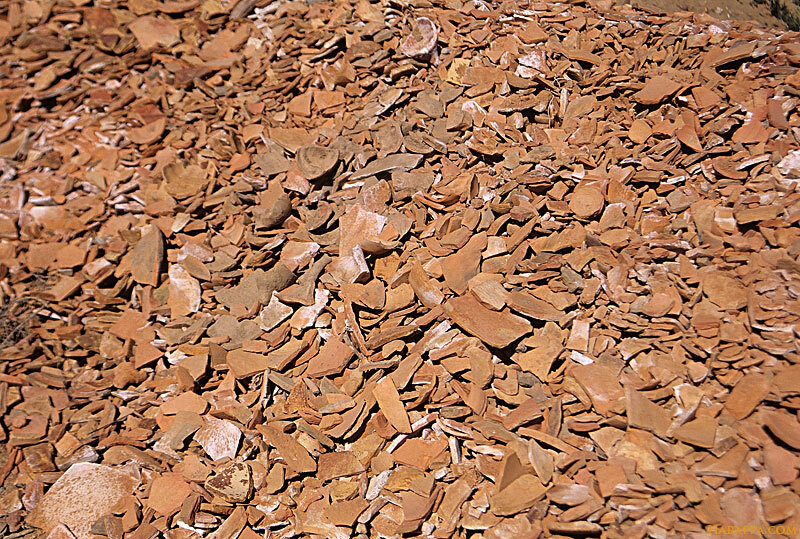 Discarded ancient Indus sherds, after archaeologists have sifted through them and cleaned them. This pottery debris from excavations at Harappa covers hundreds - if not a thousand – years of habitation, far longer a period than say modern times. 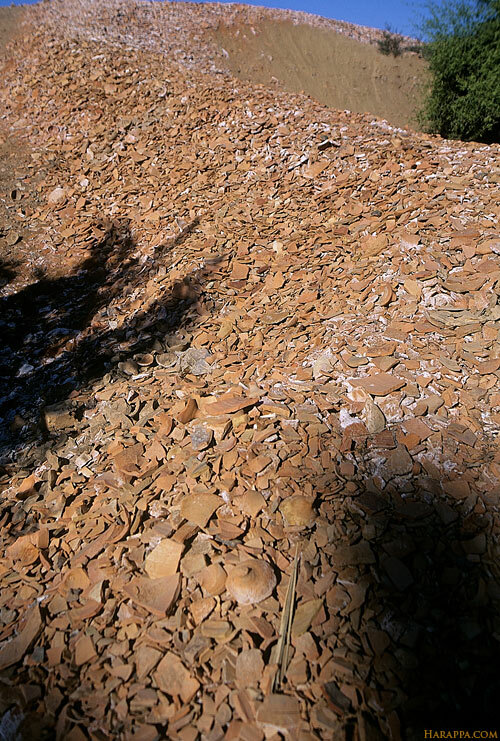 One can imagine each sherd having its own story, connected to another sherd now far away in the pile, the centuries layered upon each other in the sunlight. 1 and 2. 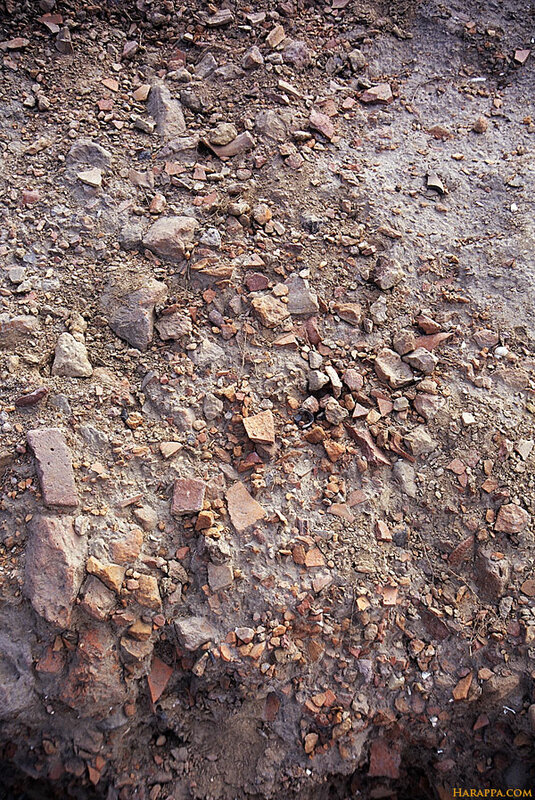 Sorted and discarded pottery sherds from continuing excavations at Harappa since 1985. 3. Earth and debris excavated from the houses and streets of DK-I area was dumped directly onto parts of the unexcavated mound, making it difficult to discern where the original mound ends and where the dirt pile begins. Valuable information on craft activities that were once carried out in DK-I houses can be found eroding from the dirt that was not screened or carefully examined by the earlier excavators. 4. 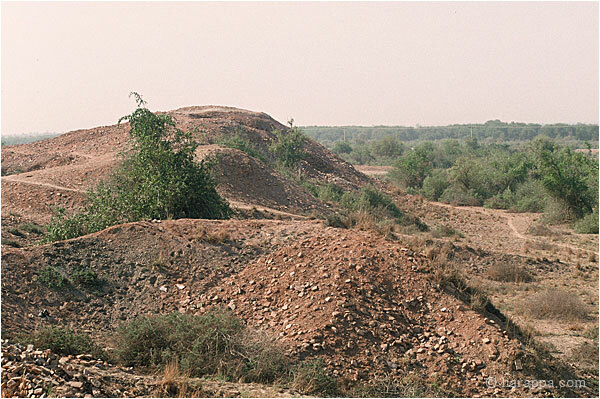 More unexcavated pottery sherds and debris at Harappa.